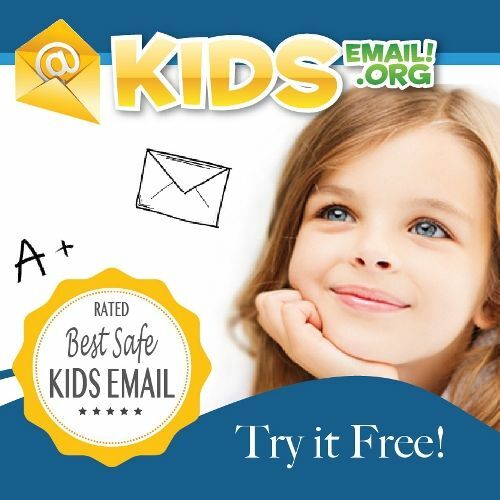 My youngest daughter has been testing out a kid safe, kid friendly email system from KidsEmail.org. With our Annual Subscription, she can access her email on any device, free from ads and spam. This is a great way for young kids to learn to use and enjoy email (and practice their writing, spelling and typing skills) in a safe way. 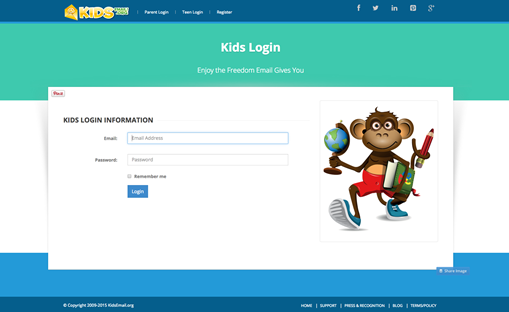 KidsEmail.org also offers settings that allow parents to limit who can contact their child via email, and choose whether or not links and images can be shared. Mail Monitoring -parents can choose to be copied on all incoming and outgoing email. Time Restrictions- allows parents to set a limit on the amount of time their child is allowed to spend on email. Also allows a parent to set up a punishment by shutting down access for a set amount of time. Contact Manager -parents can choose who can contact their child. Offensive Word Filter – select any words your kids are not allowed to use when sending a message. A note about privacy: I generally trust my kids to make good choices. I don’t think they’re perfect, but I also know what they’re up to most of the time. I chose not to limit their use of email as a form of punishment. It’s unlikely that I would use the feature that would allow me to read all of their outgoing emails. Even a young age, I feel they have a right to privacy. I would not take that away unless there was an issue that demanded it. I do think that safety is important, and blocking people from contacting your child could be necessary at times, particularly when dealing with cases of cyber bullying. I think discussing safety online and when using email should be an ongoing process. Our favorite part of this program was the background and login page options, which allowed my daughter to pick a theme she loves for her login page and dashboard. There are tons of adorable themes to choose from to customize their accounts, such as race cars, princesses, horses or rainbows. 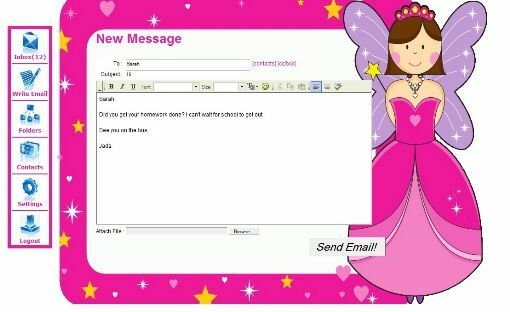 KidsEmail.org was simple to set up. We were up and running and ready to start using email in less than ten minutes. However, I did take a fair amount of time deciding which limits were necessary and which were not. At this point in their lives, my daughters don’t use email that often, so some of the limits were not needed. It’s nice to have so many options available, and I think they could be helpful for some families. My favorite safety feature in this program is the GPS, that allows you to track your child’s location (if they are using the app on a mobile device). I always know where my kids are, and I’m typically not far away, but I like the idea of being able to track them down in an emergency situation. 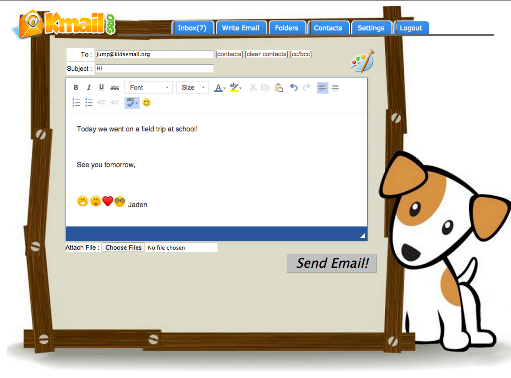 KidsEmail.org offers a great way to introduce young children to using email. It is far more user-friendly than typical email, and doesn’t have any distracting adds. My daughter thinks her email is super cute (she picked the horse theme) and looks forward to checking her messages daily. To learn more about KidsEmail.org or to give the service a try, visit them here. Will You Attend a Great Homeschool Convention? Do Homeschoolers Think They Are Superior?